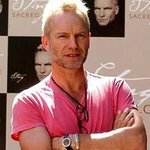 To benefit the Sage Gateshead 10th Birthday Appeal, Sting will perform songs from ‘The Last Ship’ his latest album and new Broadway musical of the same name, on 24th and 25th April 2015. These will be the only UK performances of their kind and are both kindly supported by Cunard. Additional support comes from Shepherd Offshore and Port of Tyne. Inspired by and set in Sting’s hometown of Wallsend, The Last Ship tells a universal story. Drawn from his childhood growing up beside the Swan Hunters shipyard, The Last Ship is very personal to Sting yet also echoes the experiences of those working in shipyards along the Wear, Clyde, Mersey or any Northern port, as well as post-industrial communities the world over. The play was originally work-shopped with local musicians and actors at Newcastle’s Live Theatre – ahead of its upcoming Broadway debut – but for Sting, it was never in doubt that the songs of The Last Ship should be performed for a North East audience. Sting will be joined onstage at the Sage next April by many of the region’s best loved musicians including fiddle and Northumbrian pipe player Kathryn Tickell and The Wilson Family from Billingham, Co. Durham. The Last Ship’s homecoming has generated great excitement and support from partners, particularly relating to the North East’s shipbuilding heritage. Leading the support is Cunard, the international cruiseline company, who commissioned many of their greatest ships from the Swan Hunter ship yard in Wallsend. In benefitting the Sage Gateshead’s 10th Birthday Appeal, proceeds raised from both performances will ensure that its vital work in the region will continue. Opened in 2004, Sage Gateshead has established itself as an international home for music and musical discovery. Its concert programme runs throughout the year, attracting artists from across the world and incorporating all genres of music. In June 2012, Arts Council England set Sage Gateshead the challenge of raising £4 million by July 2015 (in order to claim an additional £2 million in match-funding) to help secure the future of this important work. In December 2014, Sage Gateshead will celebrate its 10th Birthday, Its correspondent birthday appeal runs until the summer of 2015, and features a number of high profile concerts and celebrations. Each will help Sage Gateshead to meet the challenge set by Arts Council England and help to ensure that its work in the North East can continue. Anthony Sargent, General Director of Sage Gateshead, said: “We’re honoured that Sting has chosen to bring ‘The Last Ship’ to Sage Gateshead. His support for our 10th birthday appeal means that our work across the region, helping enrich so many lives through our musical education programmes, can continue. For the past ten years, these programmes have benefitted everyone from marginalized, struggling young people through to people at the end of their lives. The generosity of Sting, and our other kind supporters, will help even more people as Sage Gateshead enters its second decade”. Tickets will go on sale to the general public beginning Monday 1st September from 10am at www.sagegateshead.com, and also at Sage Gateshead’s Ticket Office on 0191 443 4661.